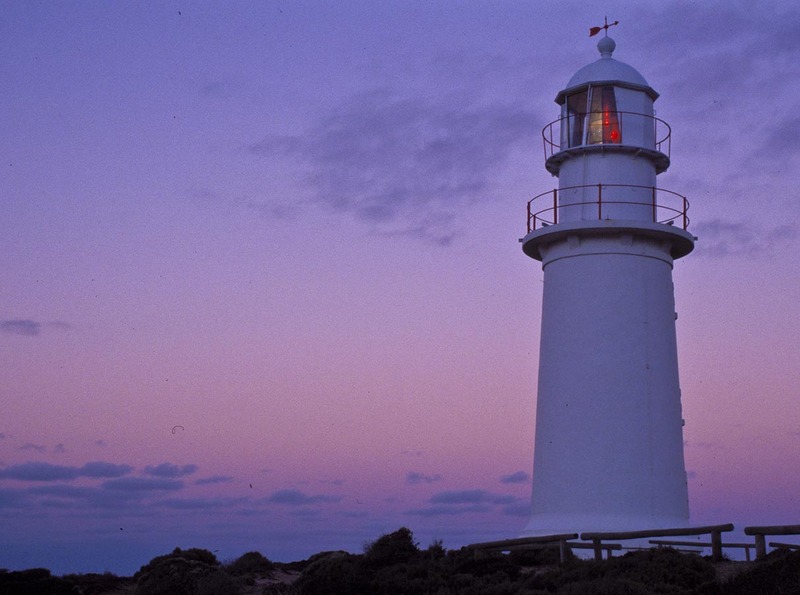 Corny Point Lighthouse | Lighthouses of Australia Inc. Built to protect fully laden, southbound windjammers that were endangered by sou-westers which could bring them in on the Web Rock or onto the reefs and shoals of Berry Bay and Daly Head. Because of the nature of the Yorke Peninsula jutting into the sea, and its isolation, most contact with the outside world was by the sea, and most people had a boat of some sort. Completed in 1882, the Corny Point lightstation is located on the northernmost point of the “foot” of the Yorke Peninsula. 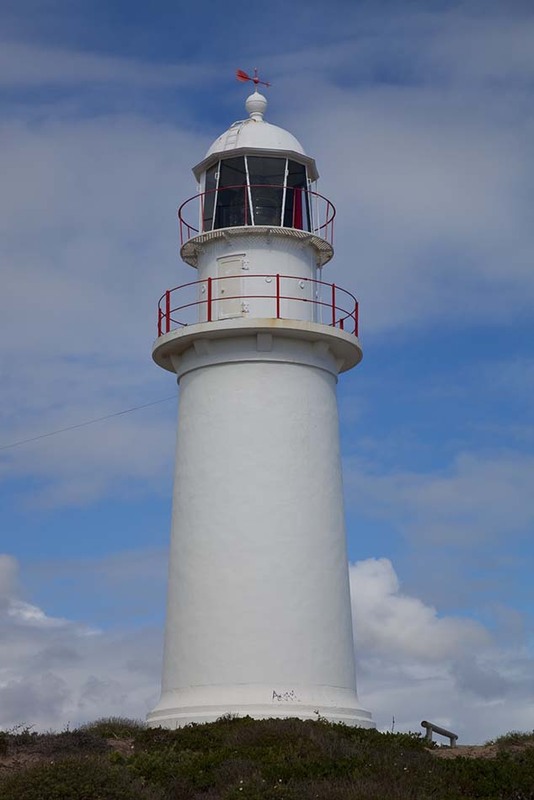 The lighthouse was originally built to afford protection to the grain ships servicing Port Victoria, Moonta Bay and Wallaroo in the Spencer Gulf. The fully laden, southbound windjammers were endangered by sou-westers which could bring them in on the Web Rock or onto the reefs and shoals of Berry Bay and Daly Head. Attempts had been made to blast Web Rock but only with moderate success. Two sites were selected for the lighthouse, one on top of the hill and the other on a rise closer to the sea. The second site was selected however it was less stable and a large concrete base had to be constructed. The tower was built from local limestone quarried from a nearby farm. Two stone cottages were built for the headkeeper and his assistant and these had 2 underground water tanks capable of holding 10,000 gallons, a necessity in this dry climate. 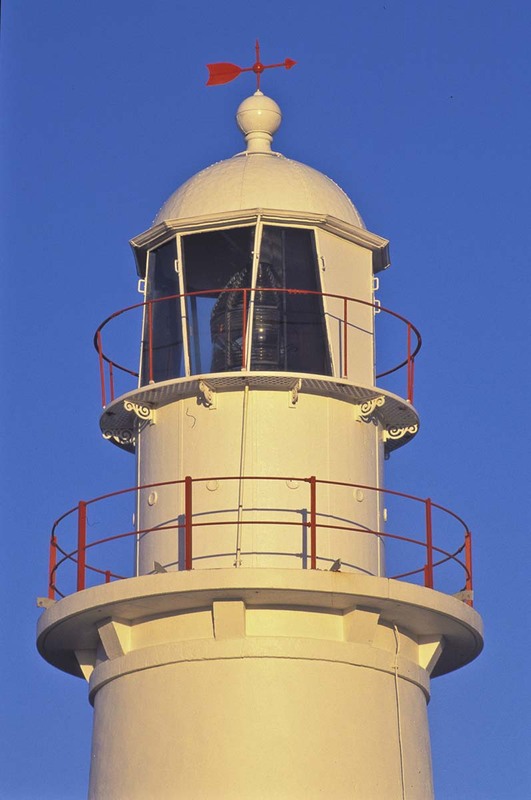 The first apparatus was the typical twin wick burner which used mineral oil that had recently been introduced in South Australian lighthouses. The light was made automatic in 1920, when the optic was replaced by an AGA. acetylene flasher and sunvalve. 240V mains power was connected in 1978 leading to a large increase in power. The new light was so powerful that it caused problems with reflection of white light over Web Rock again and the red screen had to be adjusted several times. 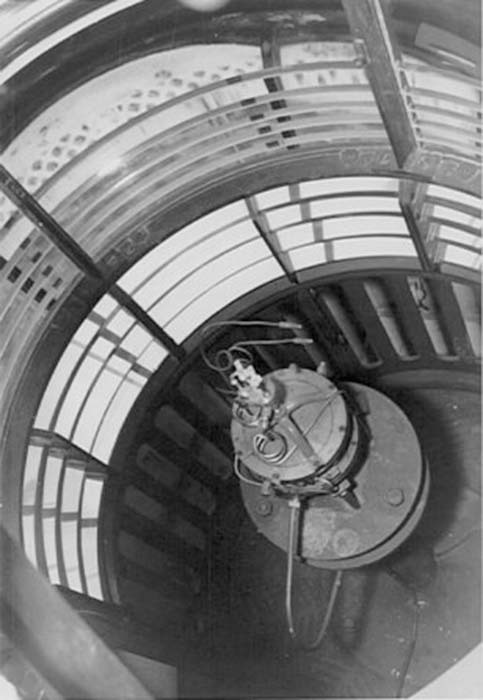 At the time there was a move to refurbish the light with a new lantern room but after much negotiation and intervention by the South Australian Branch of the National Trust the plans were modified to retain the existing structure. The first keeper, Mr J. Dagweill, arrived in 1882 to find the apparatus was not in working order. A telegram had to dispatched to the president of the Marine Board for assistance to bring the light into full working order. The setting were still not perfect as the White light was reported to be shining over Web Rock, a major local shipping hazard. The keeper rectified this with a canvas screen covering the reef side. The light was still reported to be seen over the rock and there was concern that the light being seen may be from one of the cottages. 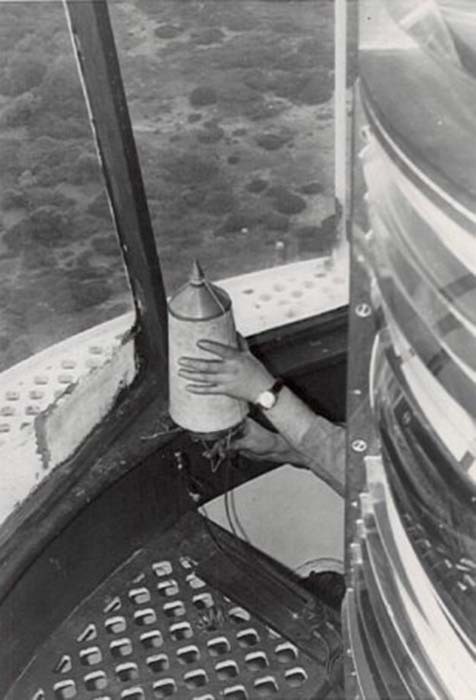 The canvas screen in the tower was extended as a precaution. In the early days the lightstation was serviced twice a year by Government Steamer. Stores and mail were delivered weekly from Yorketown. 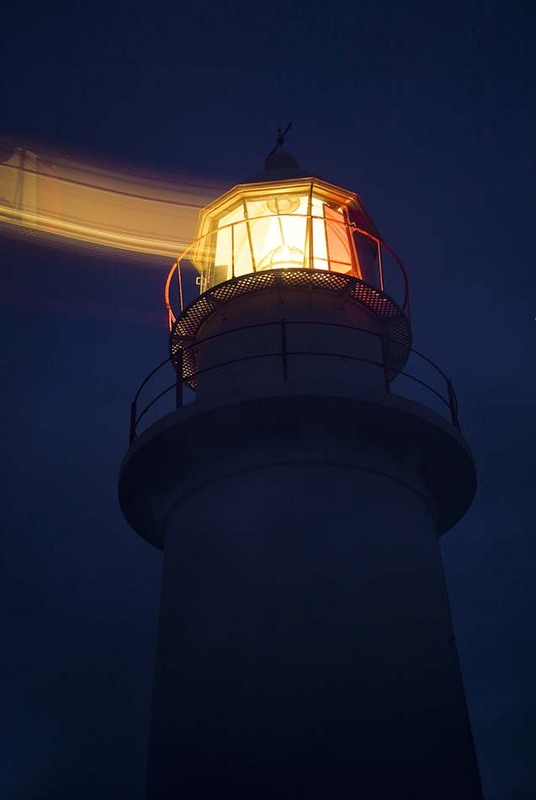 Sept. 20th, 1902 – Fine, cloudy to gloomy … At 8:15 p.m., a severe earthshock was felt apparently travelling from our east to west, shaking the lighthouse considerably in fact, as I sat in the lantern on watch it appeared to me that the building would topple over. The vibration continued about 1 1/2 minutes at least. The apparatus was shaken to a great extent wrenching the bolts which hold it in position on top. A trifling interference with the light which was corrected immediately after. A closer inspection of the buildings will be made during daylight. Sept. 21st – “On inspection of buildings I found the tap of the apparatus torn from its fastenings and the iron casing which supports it broken at the floor. The base of tower about four feet from the ground cracked all round. Sept. 22nd “The keepers secured the top of the apparatus and adjusted lamp and everything is satisfactory, so far as exhibition of the light. But I suggest for the satisfaction of those concerned and the safety of the tower that an inspection by a competent person he made without delay. The underground tanks are intact, so far as can be seen at present. The cottages suffered slightly, few cracks showing. Also the store has a few clacks. 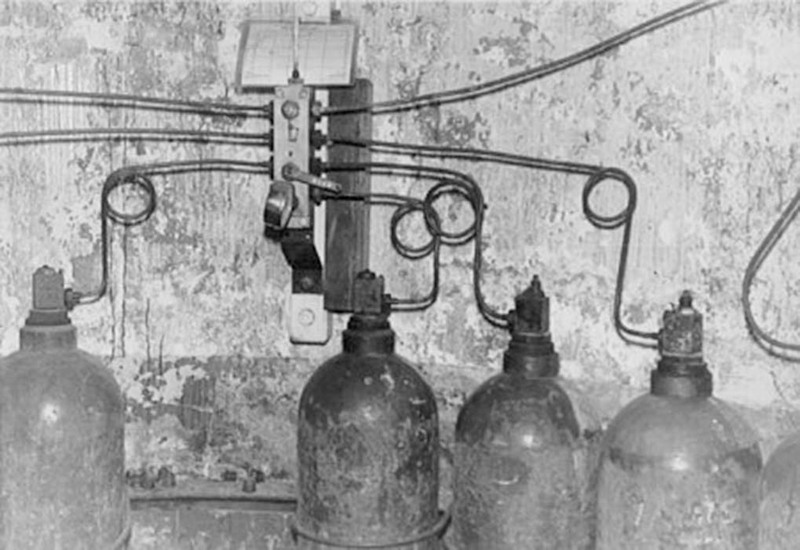 At 7.7 a.m. on 22nd a second shock was felt, but did no damage apparently although the cylinders rattled considerably and pendulum clocks stopped. A constant problem was moving sand due to the denuding of vegetation by the keepers’ goats and the neighbouring farmers stock. 10th June 1885: Gardner’s child died at 2p.m. and he asked me to take him up to Warooka on Thursday. 11th June 1885: Started with Mr. & Mrs. Gardner and Miss Dagwell for Warooka at 8 and reached Warooka at 12 noon. Got coffin and grave dug and child buried by 4p.m. 16th May 1887: Mr. Gardner down to ask to take him to Warooka as child dead. 16th February 1895: Took Mrs. Parker and child to Warooka. Child died passing Dairy. Buried it at Warooka and home at 3.30a.m. on 17th. In 1899, the assistant keeper drowned while swimming at the nearby beach with the body not being found for several days. The light was transferred to the control of the new Commonwealth Government in 1917. The light was made automatic in 1920, the keepers were withdrawn and the cottages and store were demolished. The light is on the uppermost point of the top of the Yorke Peninsula. There is a sealed road via Warooka and gravel from the Corny Point Township. The road from the south is gravel, but a very pleasant alternative route via Berry Bay. The lighthouse reserve is open to the public.